Northwest Investment Counselors is pleased to share that we have been named one of the Portland Business Journal’s top 25 money management firms for its 2015 Wealth Management and Financial Services Guide publication. * “We are pleased to have been honored by the Portland Business Journal,” said Mark Scarlett, Principal and Co-founder of Northwest. “I want to thank our clients for the trust they have placed in us and the hard work and dedication of our employees. As a result, we have grown by over $150 million in the last 10 years, ” he added. 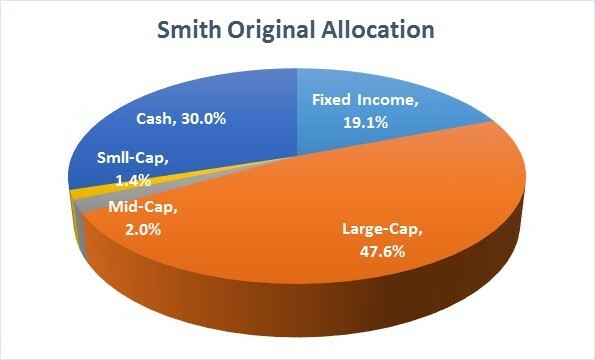 * The list was created by totaling the assets under management for Oregon and Clark County, Washington clients as of the second quarter of 2015. See Portland Business Journal. 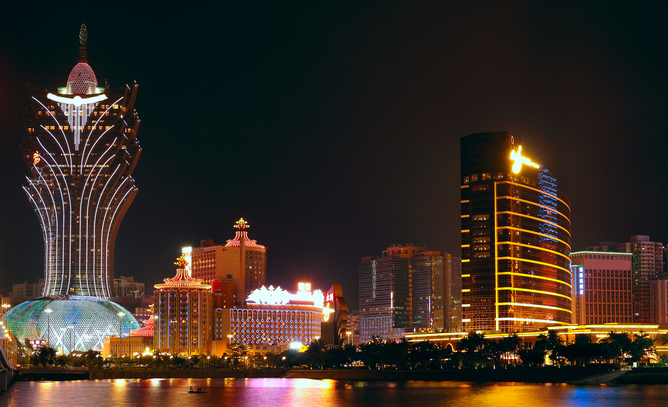 Macau: the traditional home of Chinese gambling. 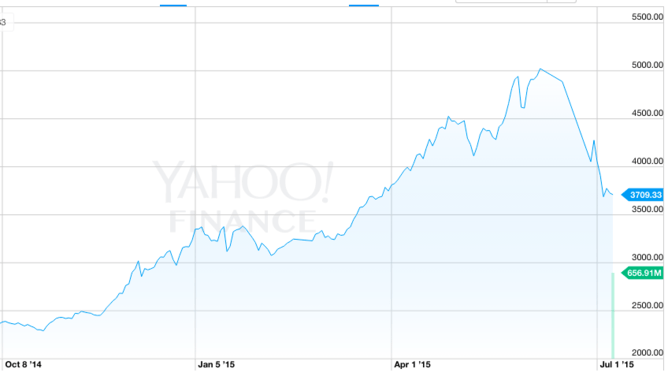 The Shanghai Composite Index’s growth and decline in recent months. Michele Geraci is Head of China Economic Policy Programme, Assistant Professor in Finance at University of Nottingham. Here at Northwest we build our portfolios from the bottom up, focusing on companies that generate attractive long-term returns on capital and have sound management teams. We don’t give much credence to the short-term fluctuations and headlines that cause less experienced investors to panic and change course. The low volatility of our composites is a testament to this time tested practice. Nevertheless, we will closely watch the situation in Greece, Europe, and more recently China, for broader market implications. 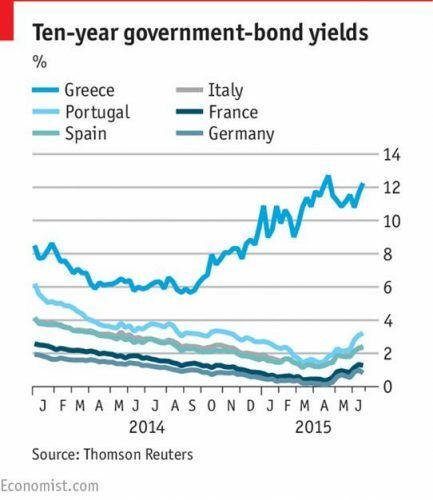 The following is why we are not overly concerned with what is happening in Greece. In 2010 there was widespread financial exposure to Greek debt among mutual funds, money market funds, and banks either directly or through counterparty risk. Today, the vast majority of Greek debt is held by government agencies and international organizations such as the IMF and ECB, making a Greek default more of a political issue than a financial one, with the greatest repercussions to the European taxpayers. Financial contagion related to Greek debt is still a source of concern, but unlike the beginning of the European debt crisis, borrowing costs for countries also considered at risk are not rising like they did in 2010 and 2011. 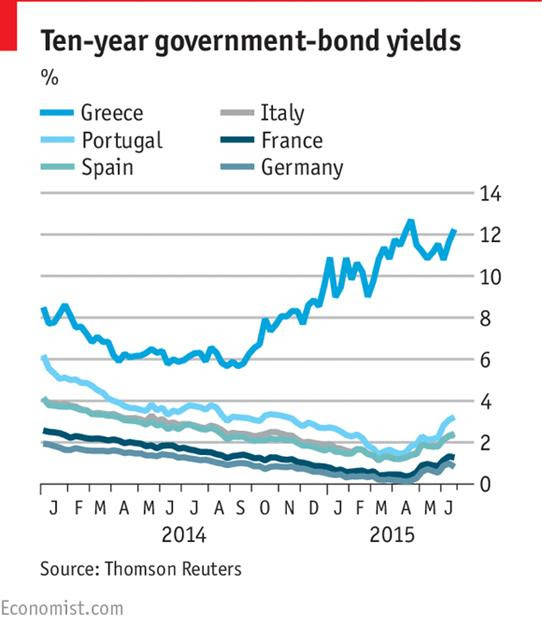 In the chart we see sovereign yields for other Eurozone countries with elevated debt levels relative to their GDPs. Although yields have risen somewhat lately, they have moved with the broader market, unlike Greece’s ballooning borrowing costs. Direct U.S. exposure to the Greek debt crisis is quite low. U.S. banks have mostly unloaded paper tied to Greece and exports to Greece make up all of 0.05% of our total exports. 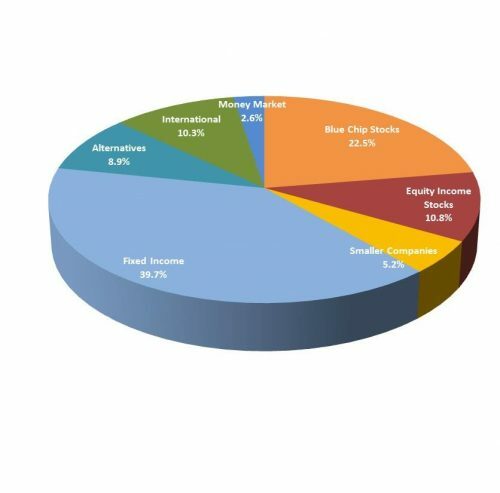 American taxpayers are technically somewhat on the hook based on the role of the United States as a shareholder in the IMF, but less so than our European counterparts. Will markets remain somewhat volatile for investors? Yes. Will the Federal Reserve hold off on raising interest rates due to Greece? Maybe, but don’t expect any major adjustments to Fed policy. If anything, rates might stay low for one meeting longer than planned, which the stock market would likely applaud. Greece’s debt issues warrant our attention in the short-term due to the potential spillover from temporary Eurozone economic disruption. In the long-term, Greece will be more of a canary in the coal mine, or lesson, for how markets will cope with issuers that have high debt loads and how those issues will effect bond market liquidity. Please feel free to reach out to us concerning current economic events or portfolio specific questions you may have.